WPP reported a slight fall in ogaanic revenue for 2017 in what was described as "not a pretty year" by chief executive Sir Martin Sorrell. The ad giant reported net sales (now rebranded as "revenue less pass-through costs") being up 1.4% to £13.14bn ($18.44bn), while organic revenue was down 0.9%. The figures announced in the world’s biggest ad company’s annual report today were broadly in line with investors expectations but a slight downgrade on WPP’s earlier guidance last year that like-for-like revenue for 2017 would be flat. WPP shares were down 12% in early trading as this story went to press. "2017 for us was not a pretty year, with flat like-for-like, top-line growth, and operating margins and operating profits also flat, or up marginally," Sorrell, pictured, commented on the results. He blamed the missed target on "long-term impact of technological disruption", the "short-term focus of zero-based budgeters", as well as activities by investors and private equity funds. These factors, he believed, were more to blame than "the suggested disintermediation of agencies by Google and Facebook or digital competition from consultants". "The comments from all the agency groups would somewhat undermine the structural bear case on the agencies and support our thesis that the secular concerns are overdone," Liberum’s head of European media and digital equity research Ian Whittaker noted. Whittaker's view is that the current issues agencies are facing have more to do by FMCG advertisers being "unsettled" by the lack of transparency around digital media trading. "It has been this that has caused clients to re-evaluate clauses and terms but that this will settle down and things will turn to normality," he said. While WPP’s reported billings were up by 0.6% at £55.56bn, in constant currency terms it was down 3.9% and down 5.4% like-for-like. Reported revenue was up 6.1% at £15.27bn, in constant currency terms up 1.6% and down 0.3% in like-for-like. Headline profit before tax £2.09bn, up 5.4% and up 1.9% in constant currency. The group closed the year with profit after tax of £1.91bn, up 27.4%, up 22.6% in constant currency. By sector, WPP’s advertising and media investment management businesses showed "strong growth", as did PR and public affair public relations and public affairs and sub-sector specialist communications (including direct, digital and interactive). Data investment management and sub-sectors brand consulting and health and wellness did not perform as well. While the year is above budget, it is off to a slow start with January’s like-for-like revenue flat and net sales down 1.2%. For the year, WPP is targeting both flat organic as well as net sales. "In this environment, the most successful agency groups will be those who offer simplicity and flexibility of structure to deliver efficient, effective solutions – and therefore growth – for their clients. With this in mind, we are now accelerating the implementation of our strategy for the group," Sorrell said. The goal, he continued, is to "up the pace" of WPP’s evolution into a "cohesive global team dedicated to the core purpose of driving growth for clients". 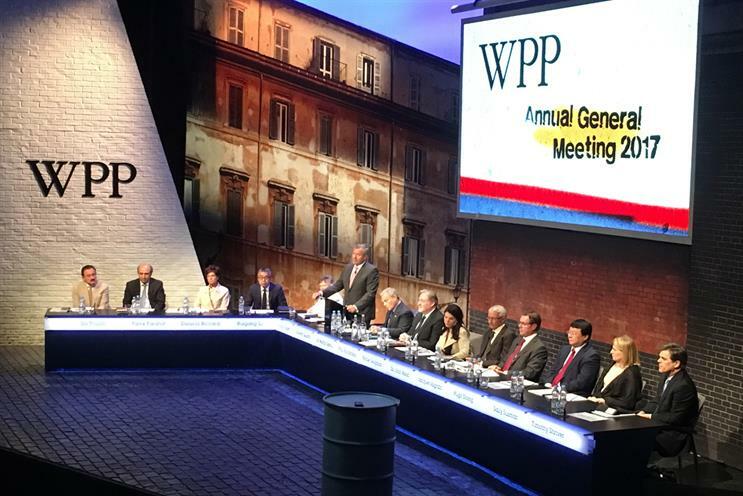 Alongside this, WPP will be investing in developing cross-group capabilities in digital marketing, digital production, ecommerce and shopper marketing; further sharing of functions, systems and platforms across the group; and the development and implementation of senior executive incentives to align them even more closely to group performance.